A graduate of UW - La Crosse with a double major in Psychology and Spanish, Molly Fritz decided to pursue her first professional career at First Weber. She joined her mom, Lori, who has been in the business for 20+ years. 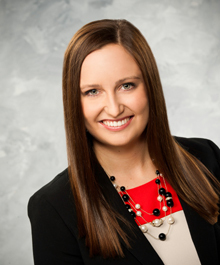 Molly's passion for helping others achieve their dream drew her in to the idea of real estate. She loves nothing more than devoting her time and efforts for those she cares about. As an agent, Molly's number one priority is to treat all of her clients like family. Molly grew up in the Lake Country area with her parents and two younger brothers, Chad and Kyle. As a family, they look forward to their annual camping trip to Door County every summer, and try to escape to their cabin up north as much as they can. When Molly is not planning road trips with her friends in the U.S., she is saving every penny to make it back to Spain, where she spent four months studying abroad. She is bilingual, and takes advantage of practicing her Spanish at the Lake Area Free Clinic. Molly is intrigued by different cultures, ways of living, and languages. She keeps an open mind when meeting people from all over the world. Let the Fritz Team help you with your real estate needs!